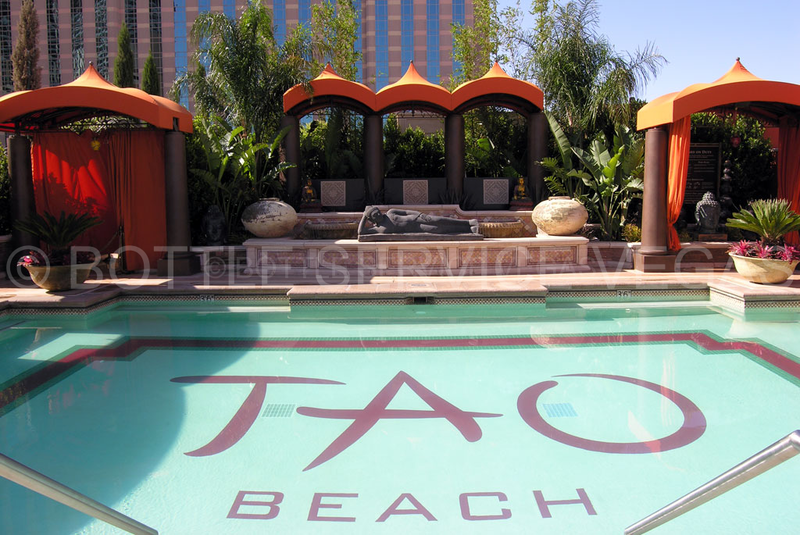 TAO Beach is located inside the Venetian Hotel and Casino. 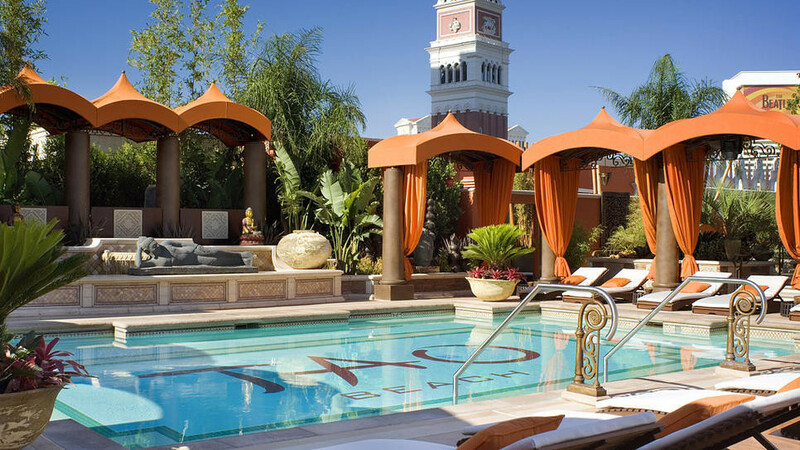 This venue provides an exotic atmosphere with an Asian-inspired decor which is evident in the daybeds. There are 7 luxurious cabanas which all come fully stocked with amenities such as a plasma television, X-Box 360 with a library of games, mini-refrigerator, beach sandals, and ice-cold terry cloth towels to cool you off.